It is a journey of insight, inspiration and self discovery, and you are cordially invited. So what exactly is a walkabout? Well, a walkabout is simply a journey of self discovery. Traditionally, a walkabout is a rite of passage where Australian Aborigines would undergo a journey during adolescence and live in the wilderness. The Walkabout was inpired by an episode of LOST. This amazing show is a personal favorite. I have learnt a lot about the human condition in LOST. Following is an excerpt from 'Cabin Fever' (LOST s04e11). ORDERLY: Don't give up, Mr. Locke. ORDERLY: I'm just saying, don't give up. Anything's possible. ORDERLY: As a matter of fact, I did read your file. You survived falling eight stories out of a building. That's a miracle, Mr. Locke. Let me ask you something. Do you believe in miracles? LOCKE: No. I don't believe in miracles. ABADDON: You should. I had one happen to me. LOCKE: Hey, look. I just want to go back to my room. ABADDON: You know what you need, Mr. Locke? You need to go on a walkabout. ABADDON: It's a journey of self-discovery. You go out into the Australian Outback with nothing more than a knife and your wits. LOCKE: I can't "walkabout" anything. In case you haven't noticed, I'm a cripple. ABADDON: Is that what you are, Mr. Locke? I went on my walkabout convinced I was one thing, but I came back another. I found out what I was made of, who I was. 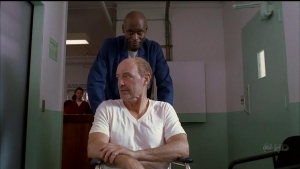 LOCKE: And here you are, an orderly. ABADDON: Oh, I'm a lot more than just an orderly, John. ABADDON: When you're ready, Mr. Locke... (presses button) you'll listen to what I'm saying. And then when you and me run into each other again... you'll owe me one. Every day, we do encounter many things. Unfortunately, many often go unnoticed. The Walkabout seeks to identify, share and benefit from whatever lessons life throws at us with everything we see, hear, experience, think or imagine. Come and join me on this intriguing journey. With only our minds and wits, we can learn a lot together. Join the conversation and let us all learn, share and advance together. House of 9: What would You do to Survive? Good and Evil: What Makes People Go Wrong?